Link INCLUDIS.Web directly to your ERP system and close any remaining gaps in your production process. Our ERP interface module copies the production orders from your ERP system in fully automatic fashion and in real time and returns event-driven feedback on the current state of production. 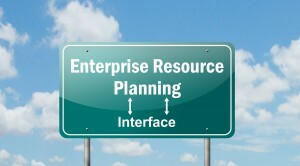 Fully standardized, the ERP interface can be incorporated into any ERP system. Certified interfaces suitable for integration with leading ERP providers are available.